Fleas thrive on the blood of a warm-blooded host. Whether it’s a dog, car, squirrel or even YOU, fleas will actively hunt until they find a host, at which point they will begin biting into the host’s skin to siphon its blood. Flea bites typically appear as small reddish bumps with a hole in the center. Granted, the exact appearance of a flea bite varies depending on the host’s response, but most people will develop reddish, slightly raised bumps as a result of being bitten. If you’re suffering from one or more flea bites, you might be wondering how long they take to heal. After all, no one wants to go through their day-to-day activities with a moderate itching sensation originating from the source of the bite. 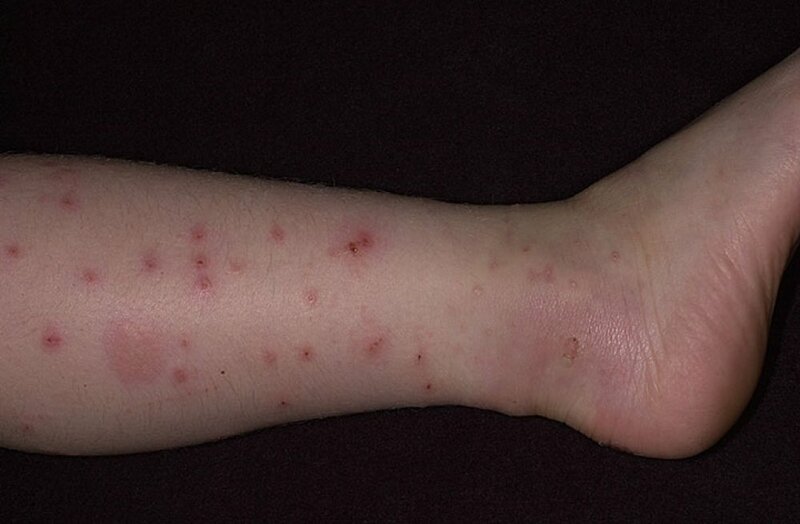 Flea bites rarely cause pain, but they can produce severe itching sensations, especially in people who exhibit symptoms of Flea Allergy Dermatitis (FAD). This condition is characterized by a severe autoimmune response to flea bites, often including greater inflammation/swelling, intense itching, pain and pain. Most cases of flea bites in humans take approximately 7-10 days to fully heal. It’s important to note that this is merely a rough estimate and should not be used as an exact time frame. Each and every case of flea bites is different, and every person responds to them differently. Some people may fully recover from a flea bite after just 3-4 days, whereas it may take others 2 weeks. The size of the flea (larger fleas leave larger bite marks, which means a slower healing process). Whether the person has FAD. Proximity of flea bite in regards to other bites. Strength of the person’s immune system. Certain prescription medications may slow down the healing process. Do you have a flea bite that won’t seem to heal? The single most important step in the healing process is to avoid scratching it. I know this is easier said than done, especially if you’re allergic to them, but you must refrain from scratching. Scratching them will only injure the skin while slowing down the healing process. Applying a 1% hydrocortisone/calmine cream to the flea bite may ease some of the itching sensation. In addition, try taking an oral antihistamine to counteract your body’s allergic reaction to the bite. Ever Wonder Why Flea Bites Itch?